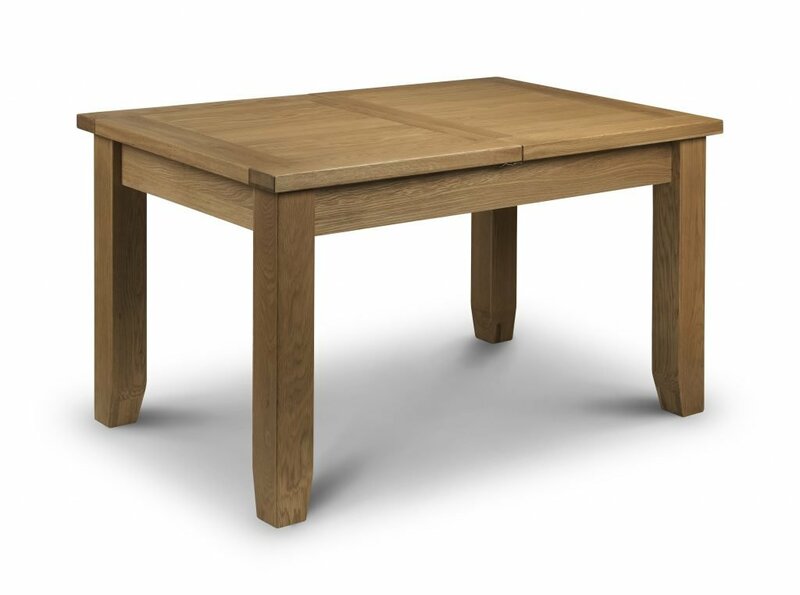 A classic extending dining table with a chunky 40mm thick top in a sumptuous waxed Oak finish. 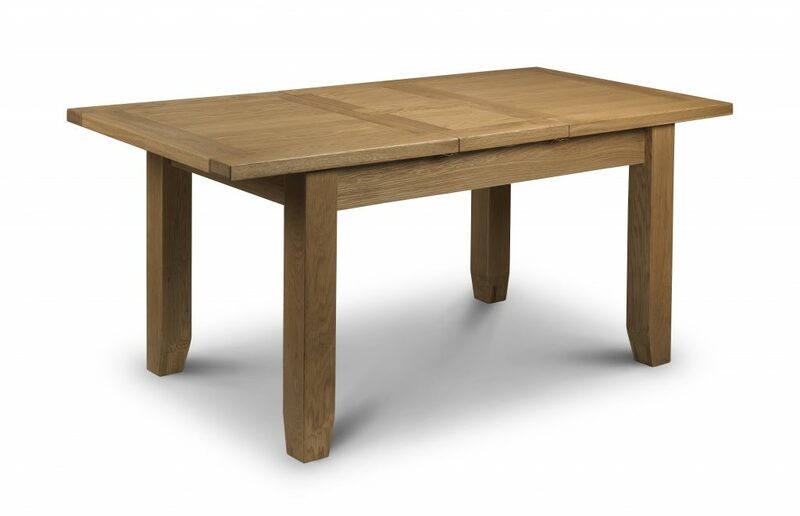 Made from the finest American White Oak and Oak Veneers, the Tori features a 40cm butterfly extension system that is stored within the table when not in use. 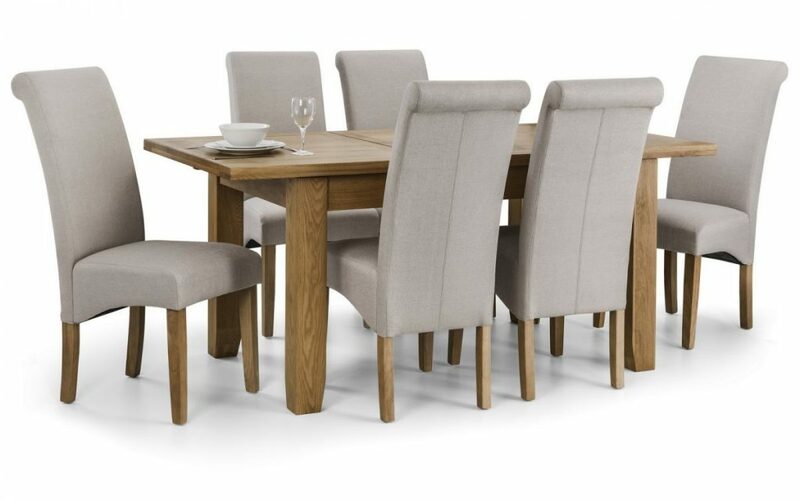 Add a subtle designer touch, while the excellent affordability means you can easily start creating a stylish and unified look throughout the whole of your living/dining room.This dining table is a very contemporary & sleek style of furniture that is sure to convert your dining area into a stylish sophisticated area. This item is simple as well as modern and coordinates well with other furniture. Other items in the range. Free deliery for England and wales only, Scotland customers please contact us for a price. All you need to do is wipe your furniture over with a duster or dry cloth to maintain that dust free surface. Use a damp cloth for tougher marks before resorting to chemical cleaners. 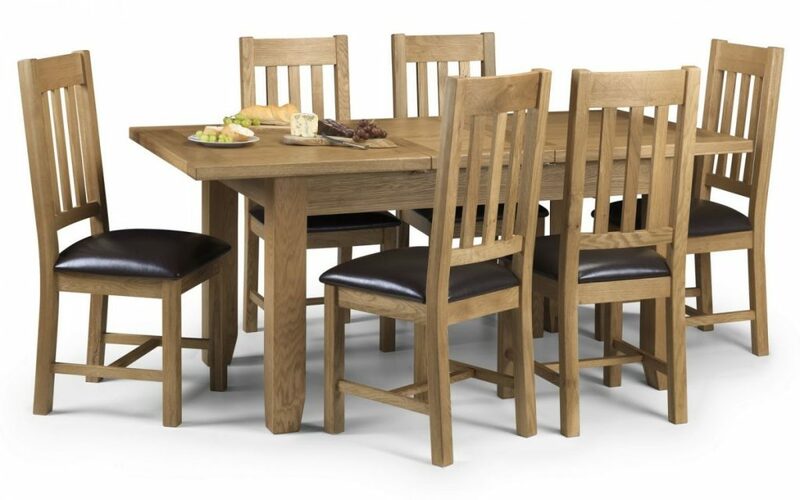 Solid Oak with Real Oak Veneers. 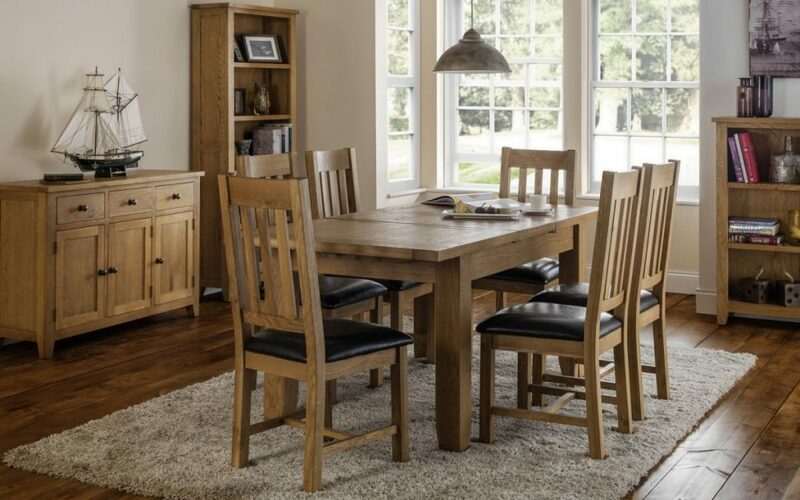 HUDSON Honey Pine Finish Drop Leaf Dining Table & 2 Chairs 91cm Diameter.